1. Try to go outside and truly observe the landscape, both near and far, side to side, etc. See how much you can allow your eyes to move without moving your head to facilitate peripheral viewing. 2. Notice if you're overusing your phone, i.e., doing emails and substantial work on your phone. The small text, the bright light, and the proximity to your face isn't helping things, especially if you're on it when you could use a computer with larger text. 4. If you're desk bound or chair bound for most of your day, take a few moments to look out of a window every hour or so, not only to get in some natural light, but also to give your eye muscles a chance to change the loads and stresses placed upon them. On a side note, can you see better from one eye or from one side of the stand (inside vs. outside) than the other? Do you have one sided headaches, jaw pain, or neckaches after playing that correlate to eye fatigue? Poor instrument alignment can certainly contribute to vision strain, so be mindful of your position seated and standing, especially when your in a pit or in a cramped situation. 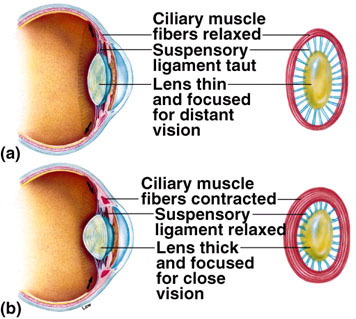 Above all, remember that your eyes need care too, just like the other muscles of your body!